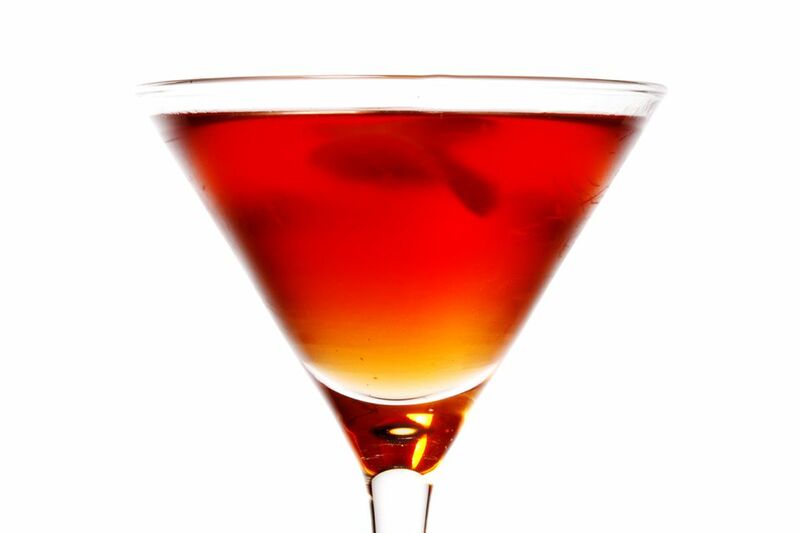 Are you ready for a fresh, new twist on the classic Manhattan? It is the perfect cocktail for inspiration and the Bourbon and Blood is yet another perfect example of where we can take the simplest of drinks. This cocktail was created by Gian Saetti, a bartender at the Ritz-Carlton Kapalua's Alaloa Lounge in Maui. It is an elegant cocktail and one worthy of special note. In reality, as Saetti pointed out, his Bourbon and Blood is more like the classic Boulevardier than the Manhattan. It retains that aperitif profile found in the Boulevardier though it switches from bitter Campari to sweet Solerno. This blood orange base works wonders with Woodford Reserve and sweet vermouth and the orange bitters are a perfect accent to the entire mix. The surprise ingredient here is fresh tarragon. The herb really set the drink apart from similar whiskey manhattans and complements the orange undertones with perfection. Garnish with the zest of a fresh orange swath before lightly placing it into the cocktail. Saetti is very specific in the brands used in his recipe and when tasting the drink, I followed his recommendations exactly. While this produced a perfectly balanced cocktail, there is always room for experimentation if you have a favorite alternative. Solerno is the one ingredient that I would not mess with because there is not a good, premium-quality alternative yet when it comes to blood orange liqueur. All of the other orange liqueur options will not produce the same effect. Besides that, the drink's name is Bourbon and Blood, so it is only natural to have a blood orange liqueur. 'Red' vermouth is more commonly called sweet vermouth today and Carpano Antica is one of the best bottles you will find. Try it in this drink and you may find yourself using it in more vermouth drinks. If you like, you can muddle the tarragon before adding the other ingredients. Even though we often muddle herbs, it is not necessary in this case because the shake adds just enough tarragon to the mix to make it noticeable without being overpowering. An orange swath is another way to say orange peel or zest. Typically we think of the swath as a broader cut of zest that either lays flat or has a slight twist. This is different from the tight spirals that we often use. Yet, an orange peel is an orange peel and they are fun to play with, so use the style you like most. How Strong Is a Bourbon and Blood? Assuming that the drink is mixed with the suggested brands, this cocktail is approximately 27.7 percent ABV (55.4 proof). That makes for a strong drink, so you would be wise to limit these to only one or two in an evening.